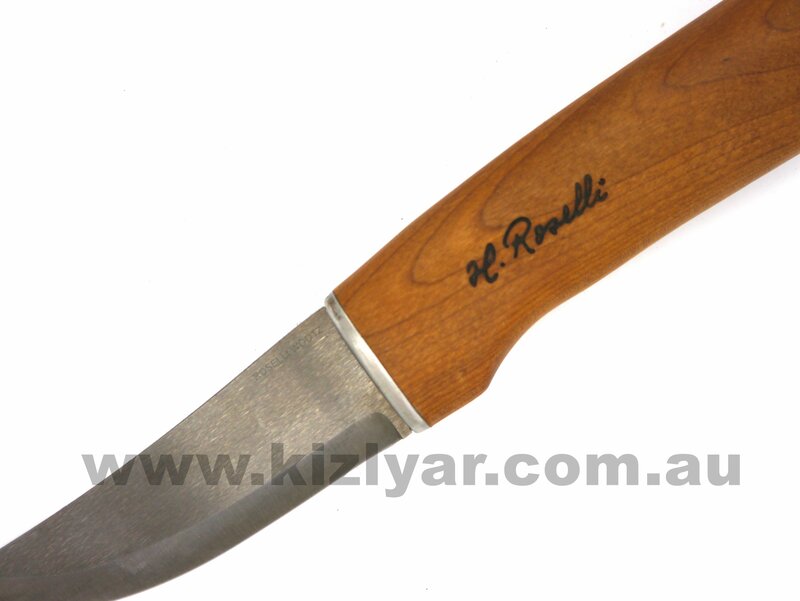 Roselli's first knife model, Hunting knife, with a durable UHC-blade. 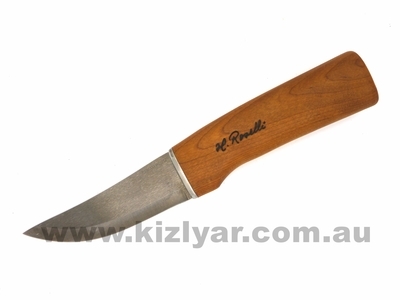 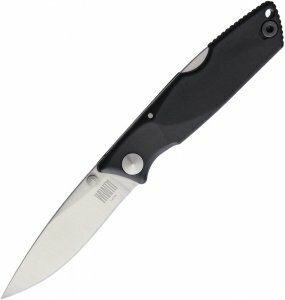 Hunting knife is a popular choice among hunters and campers and it can be used for whittling, cutting or handling fish or game. 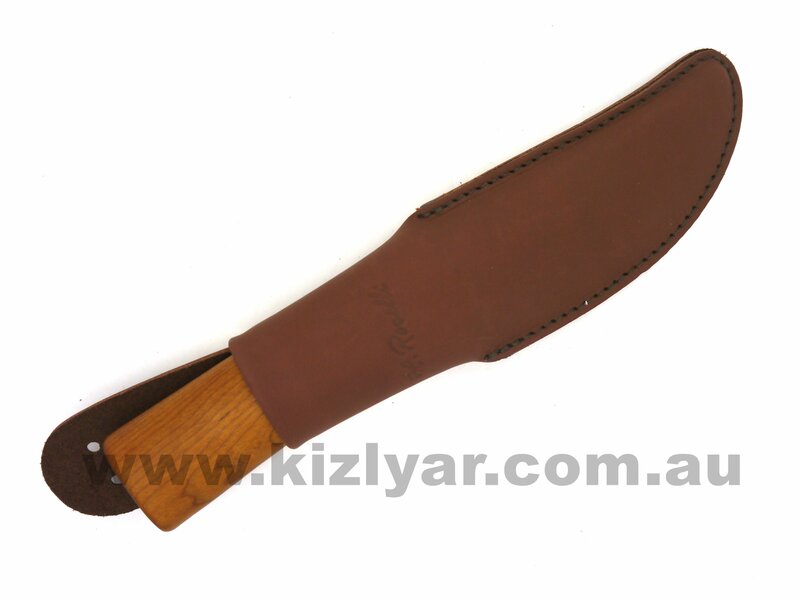 The heat treated birch handle with a linseed oil coating ensures a firm grip, even when wet. 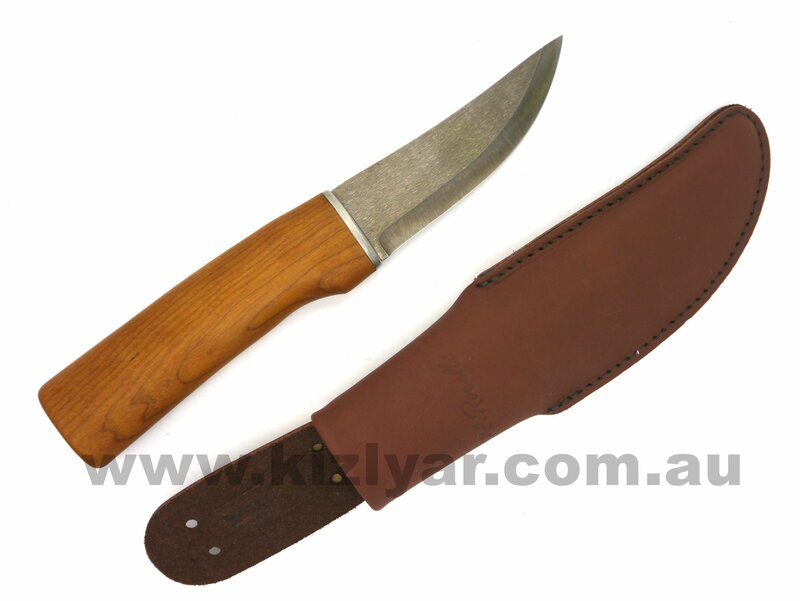 Hunting knife comes with a handcrafted sheath made from tanned leather.